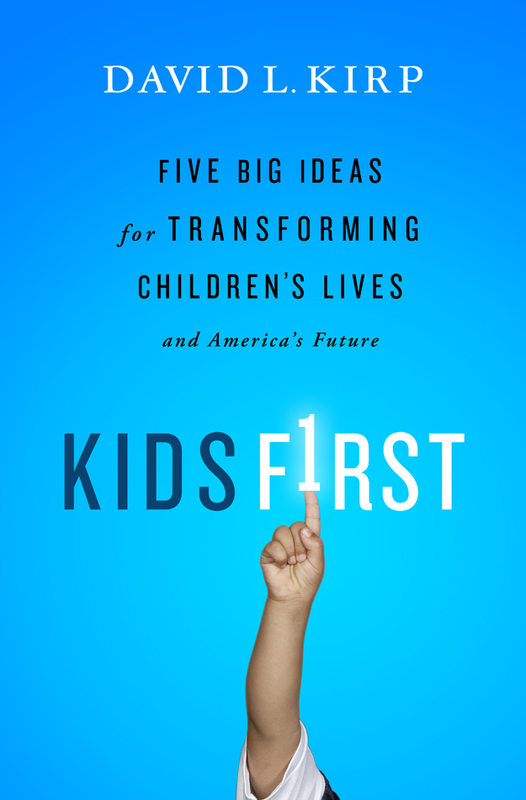 March 1st marked the release of Kids First: Five Big Ideas for Transforming Children's Lives by David L. Kirp (purchase), a professor at the Goldman School of Public Policy at UC-Berkeley. teaching parents to teach their kids - The much-discussed nurse-family partnership serves as a prime example of a program in which parents are offered assistance with childrearing. delivering brainy education to tots - The Perry Preschool Project and Abcedarian Project are discussed along with a few other select successful educational early childhood initiatives. creating academies of learning and life - The discussion revolves around the Harlem Children's Zone and the Children's Aid Society schools are as examples of "community schools" -- schools that incorporate various other community services along with their academics. the kindness of strangers - Mentoring programs like Big Brothers, Big Sisters and others are discussed. the universal piggy bank - "Baby bonds" in Maine, the UK, and elsewhere are part of a discussion of starting all kids with savings accounts for college upon birth (and possibly matching contributions to those accounts). These five chapters are intended to serve as his road map to creating a "web" of child services available in every community, but instead serve as more of a series of guide posts. Notably repeated throughout his discussion is the notion that they have to be universal programs available to all because "we're inclined to be stingy when policy is seen as us funding them" (p. 181). While that makes sense politically, it remains to be seen whether there are many well-to-do families clamoring for mentors for their children, parenting classes, or dental clinics in their schools. The utility of these ideas remains somewhat up in the air. Those who believe that strong social reform is a must will surely cheer the book regardless of its weaknesses, but skeptics will be left wondering whether and how implementing Kirp's ideas will truly bring about a wholesale change in child well-being. And it should be clear to the reader that Kirp is arguing specifically for progressive programs rather than simply programs that work -- he goes out of his way to point out, for example, the "art-soaked" curriculum (p. 133) of one school and quote an Early Head Start program director saying that "we talk about practicing 'discipline and love' not 'discipline and fear'" (p. 117) -- possibly an attempt to keep the "no excuses" advocates from claiming that the particular program falls under their model of success. Back in January, Alexander Russo wrote an excellent piece asking for more from those who oppose the current favorite solutions in education policy and criticize the widely publicized success stories (particularly regarding charter schools). "Where," he asks "are the progressive versions of the reformy success stories . . .?" This book answers that question. Indeed, this book serves as a counterweight to all the recent tomes published on high-flying charters. And suffers from the same weaknesses as well. Other than perhaps a gentler and more humble tone, there's not much to differentiate this volume from those who advocate replicating the success of particular schools that operate in a particular way. While pointing out programs that work is certainly useful, discussing exceptions can only advance the discourse so far. Among other problems, it remains unclear how we would -- or that we even can -- successfully scale up these programs to a national level, but the final chapter advocates that we do so nonetheless. It's also unclear that any of the solutions he presents (parent support, early education, community schools, mentoring, and savings accounts) are truly "big ideas". None of those five chapters offer a new vision; rather, they recount the successes of a few programs in each category and advocate the creation and funding of similar programs. Experts in the field are likely familiar with most, if not all, of the success stories he recounts. Most readers should find these chapters informative and somewhat interesting, but the sole "big idea" presented is the notion that we should implement all five of these types of reforms in a coordinated fashion. Given the narrow focus of each program, it seems far more likely that such a coordinated effort would yield positive results than would putting all of our eggs in one basket. Kirp estimates that the five reforms would cost somewhere in the neighborhood of $50 billion to implement full-scale nationwide and argues that this is really a pittance when taken in context -- particularly since evaluations of many of the programs discussed have found enormous cost-benefit ratios ("one good community nurse will save a dozen policemen" (pp. 203-204)). Even so, this session of Congress seems particularly unlikely to adopt bold new social programs. Many readers may not find what they expect in Kirp's book. Based on the title, one might expect revolutionary new ideas but, instead, find abbreviated stories of a few selected successful programs. A reader expecting groundbreaking theories on how to transform children's lives may be disappointed to find 200 pages of anecdotes sprinkled with endnotes. And an academic reader expecting a thorough analysis of the successes and failures of child policy will surely be disappointed to instead find a call to action resting on a few notable successes. But that doesn't mean readers will leave with nothing. By the end of the book, readers -- particularly those who are not experts in the field -- should have a clearer idea of what types of policies have succeeded where others have failed and what types of child policies might be most beneficial. Kirp points out that he could've included far more than five ideas. Indeed, strong arguments could be made for the inclusion of programs that impact health care, nutrition, fitness, neighborhood violence, housing conditions, gangs or any number of factors. The coordinated implementation of the five interventions Kirp lays out could potentially change lives, but they're not sufficient by themselves. At the same time, worrying that these programs aren't enough shouldn't prevent people from backing a common agenda. Yes, those who run, say, a karate program or a community garden won't like being left out of this conversation -- but progress must start somewhere. While those who run programs not mentioned in the book will doubtless feel left out, they shouldn't take that to mean that their programs aren't important or can't play a role. My personal theory on these types of interventions is that it often matters more how well they're implemented than it does exactly what they do. A well-run karate program or community garden, for example, may work wonders while an unenthusiastic mentor likely won't accomplish anything. In that sense, the big idea that readers should take away should really be that we need coordinated child services run by passionate and competent individuals (this idea isn't really new, but is definitely "big"). More would get done if concerned citizens spent less time arguing about which services to implement and more time providing whatever services a particular child or community needs. The big unanswered question is how we go about ensuring the formation of these types of programs. Most of the programs discusses are small, private programs. Whether it would be more fruitful to encourage a thousand more programs like these or to implement larger, more centralized programs patterned on these successes remains up for debate. Overall, Kirp's book falls short in many ways. Cherry-picking a few successful programs and then suggesting that our country would be a better place if we replicated them will neither persuade doubters nor lay a clear path for believers, but it might prompt a worthwhile discussion. The title is a stretch and the writing, while quite readable, sometimes borders on dull, but the typical reader should finish with more ideas about attacking problems confronted by children than when they started. The book may not be a must-read for the stodgiest of academics, but it is for anybody involved with children's social services -- and would benefit anybody interested in the future of our children. It sounds like what Kirp is advocating is essentially an attempt to make up for the effects of uneducated and ill-prepared parents. My (cheaper) solution would be to put our efforts into discouraging uneducated, ill-prepared (young) people from having children that they are not equipped to parent. 1.) It's not only young people that struggle with parenting, and it's not only kids with ill-prepared parents that struggle with school. On paper discouraging ill-prepared people from having children makes some sense, but in the real world it could be a logistical and ethical nightmare depending on the extent of the efforts. 2.) Even if somebody could waive a magic wand and ensure that only well-prepared people had children, that would do nothing to solve the problems confronting the current youth of America. Corey: You're right that my proposed solution wouldn't do much for the current crop of kids in our schools, but with low-income teenagers having children as early as 15 or 16 years old, it would help the next generation avoid the problems of this generation. With regard to your first point, you're right that it's not ONLY the children of young, uneducated parent(s) who can struggle in school. However, the solutions proposed by Kirp mainly target these types of families. Middle and upper middle class families don't need the state to teach their kids the alphabet or how to tie their shoes. Even if somebody could waive a magic wand and ensure that only well-prepared people had children, that would do nothing to solve the problems confronting the current youth of America. Now that would require a magic wand. Seriously. Any reform that requires lots of normal people to be exceptional is not going to work.